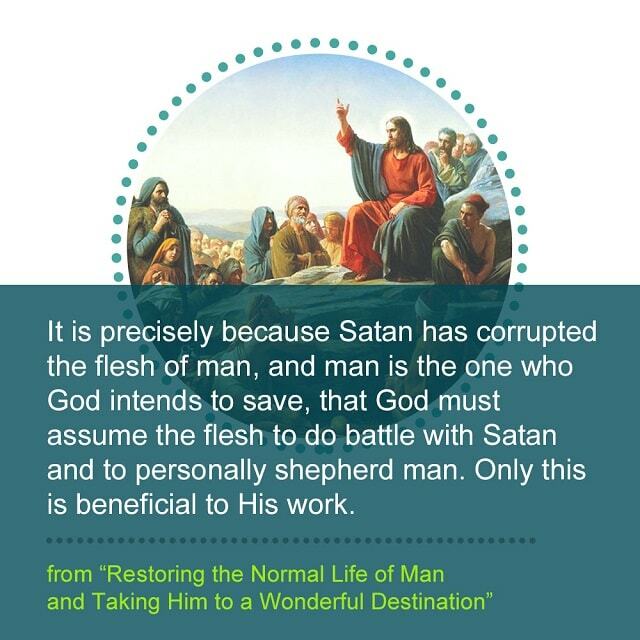 God says,“No matter when it occurs, the heart of God that is man’s salvation never changes: This is the most precious part of the essence of God” ( “God Himself, the Unique VI”). You forget that the evil one has tempted you, afflicted you; you forget your origin. Just like that, the evil one has been damaging you step by step, even to now. Your heart and your spirit are desensitized and decayed. Though many may not believe that life came from God, man inevitably enjoys all that comes from God, whether they believe in or deny His existence.